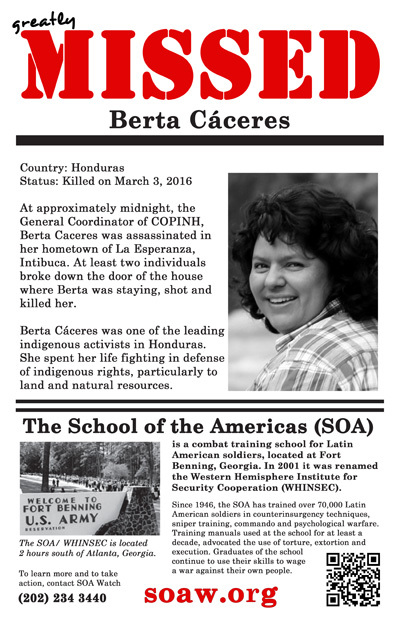 At approximately midnight last night, the General Coordinator of COPINH, Berta Caceres was assassinated in her hometown of La Esperanza, Intibuca. At least two individuals broke down the door of the house where Berta was staying for the evening in the Residencial La Líbano, shot and killed her. COPINH is urgently responding to this tragic situation. Berta Cáceres and COPINH have been accompanying various land struggles throughout western Honduras. In the last few weeks, violence and repression towards Berta Cáceres, COPINH, and the communities they support, had escalated. In Rio Blanco on February 20, 2016, Berta Cáceres, COPINH, and the community of Rio Blanco faced threats and repression as they carried out a peaceful action to protect the River Gualcarque against the construction of a hydroelectric dam by the internationally-financed Honduran company DESA. 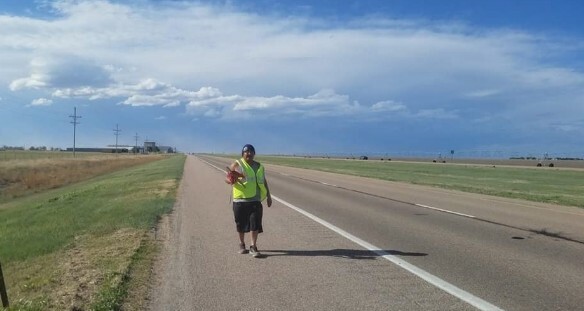 As a result of COPINH's work supporting the Rio Blanco struggle, Berta Cáceres had received countless threats against her life and was granted precautionary measures by the InterAmerican Commission for Human Rights. On February 25, 2016, another Lenca community supported by COPINH in Guise, Intibuca was violently evicted and destroyed. Since the 2009 military coup, that was carried out by graduates of the U.S. Army School of the Americas, Honduras has witnessed an explosive growth in environmentally destructive megaprojects that would displace indigenous communities. Almost 30 percent of the country's land was earmarked for mining concessions, creating a demand for cheap energy to power future mining operations. To meet this need, the government approved hundreds of dam projects around the country, privatizing rivers, land, and uprooting communities. Repression of social movements and targeted assassinations are rampant. Honduras has the world's highest murder rate. Honduran human rights organizations report there have been over 10,000 human rights violations by state security forces and impunity is the norm - most murders go unpunished. The Associated Press has repeatedly exposed ties between the Honduran police and death squads, while U.S. military training and aid for the Honduran security forces continues. A terribly sad story, and one all too familiar among the ranks of human rights and nature rights activists throughout Latin America and elsewhere. Cannot help but revisit the role of the US State Department under Hillary Clinton in fostering political instability and violence in Honduras. From Mark Weisbrot at Al-Jazeera America; September 29, 2014.